In 1983, Michael Hayes created a store unlike any other in the heart of Newport, Rhode Island on renowned Bellevue Avenue. His focus was to bring his customers merchandise that was unique within a full service specialty store atmosphere. 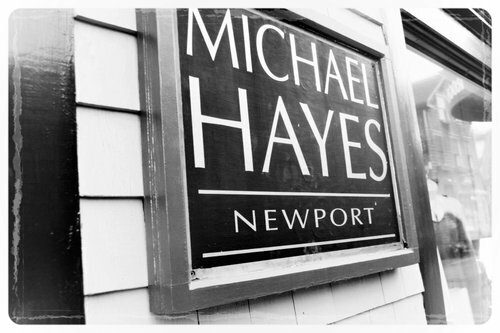 In 1983, Michael Hayes created a store unlike any other in the heart of Newport, Rhode Island on renowned Bellevue Avenue. His focus was to bring his customers merchandise that was unique within a full service specialty store atmosphere. His merchandise represents designers from around the world with merchandise that combines contemporary styles with emerging trends, A knowledgeable staff and on-site tailoring makes for a complete shopping experience for the discerning customer. Marking its 34th anniversary this year, Michael Hayes continues to be the leading clothing and accessories retailer for men and women in Newport.